DePetro.com: Who will win the state house showdown? 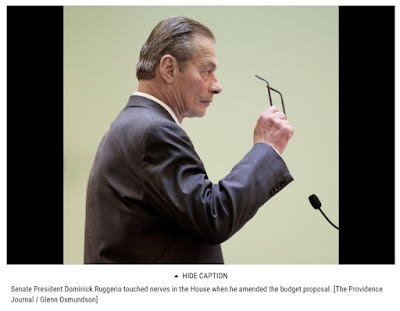 All eyes on Smith hill as the power struggles continues between Speaker Nick Mattiello and the Senate President Ruggerio. Governor " Queena" Raimondo sits on the sidelines praying the " Godfather" Dom the Prez of the senate will get the " Nick-tator" to backdown. A modern day " Crimetown" plays out during July with all three sides having plenty on the line. 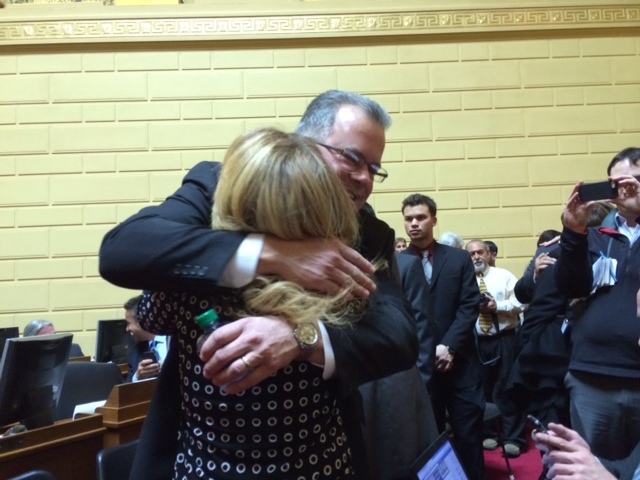 It was one thing last year when the Speaker made Paiva-Weed cry, but the " Godfather" is not the crying type. Plenty of deals to be made over the 195 land, and why make things tougher for everyone. The dispute is about the " paid-leave act ", which is about as business friendly as the giant inflatable rat outside Twin River. Queena loathes the Speaker, and wants to see him knocked out politically in the worst way. The new Senate President is not accustomed to public disputes, and wants to move forward on the Pawsox stadium deal. Did the Speaker over play his hand? Is there a way out for everyone to save face? Have we seen the end of " handshakes and hugs?" Listen to the John DePetro Show weekdays from 1:00-5:PM on AM 1540 WADK to learn more.